I remember the first time I had a mint mojito coffee from Philz Coffee while visiting San Jose a few years ago. When you place your order they’ll ask you if you want it “sweet and creamy.” The only answer is YES. I was hooked from the first sip. 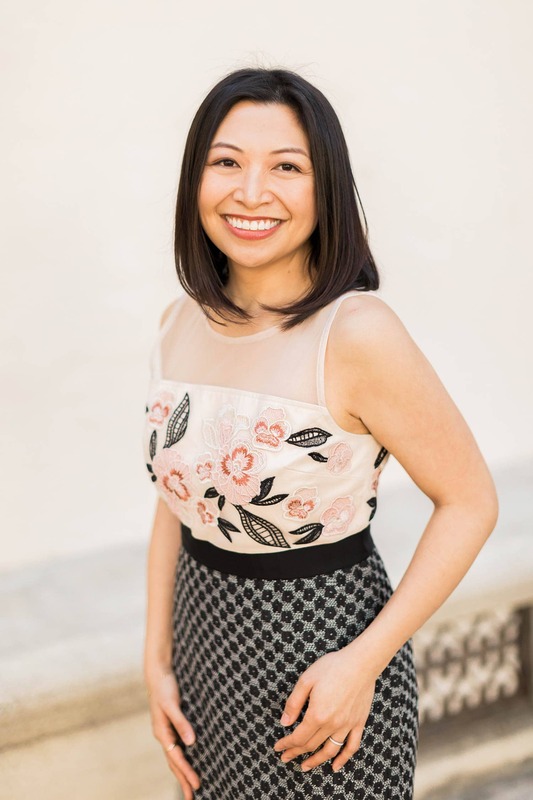 Philz Coffee started in the Bay Area and they now have a growing number of locations throughout LA, OC, and SD. I have two locations within 15 minutes of my house. It’s a blessing and a curse. I could get my mint mojito coffee fix anytime I want, but it also wrecks havoc on my wallet. Purchasing coffees three times a week or so adds up. A LOT. A few weeks ago, I shared my solution to my coffee dilemma: homemade cold brew coffee concentrate. 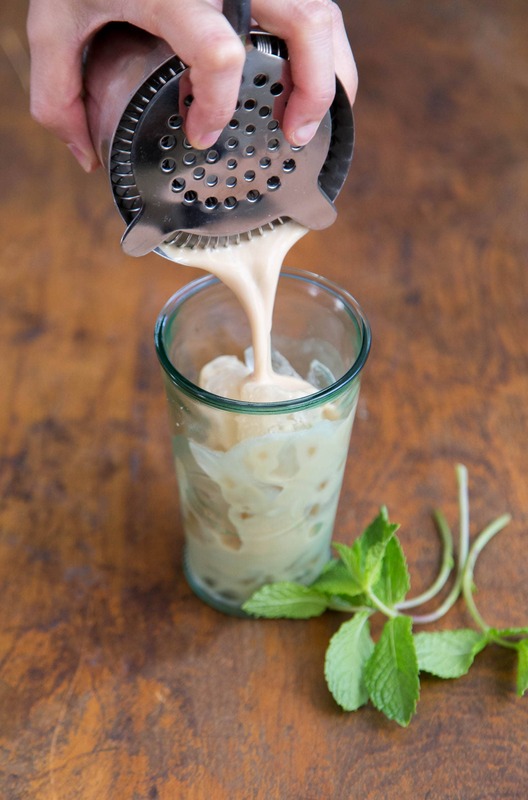 Today I’m using that coffee concentrate to make my version of iced mint mojito coffee! Don’t let the name fool you. This is a non-alcoholic drink. 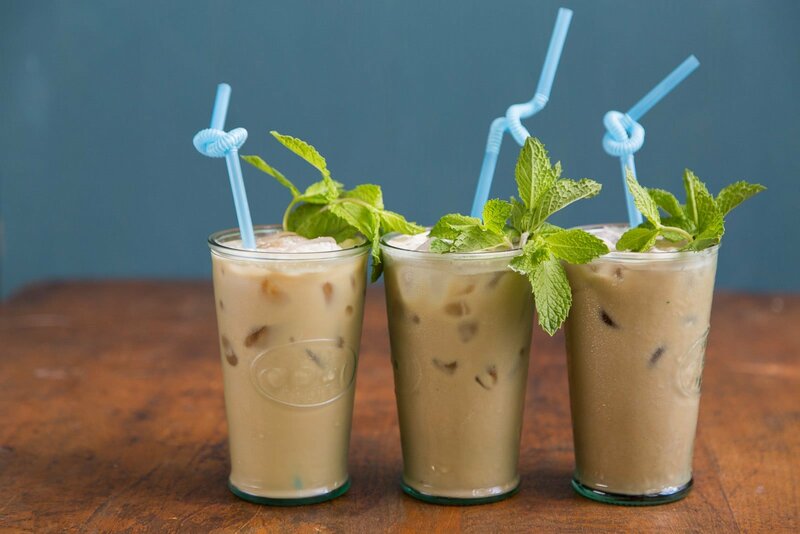 The “mojito” in the title refers to how the mint is muddled with the cold brew coffee similar to how fresh mint is used in a classic rum mojito cocktail. It is then sweetened with turbinado simple syrup and made rich and creamy with a shot of heavy cream. Everything gets shaken together and then strained into an iced filled serving glass. 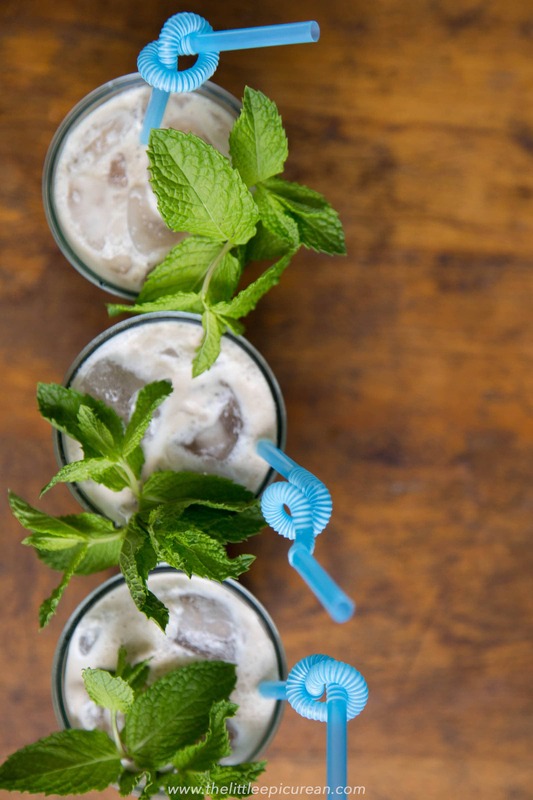 The finishing touch is a handful of fresh mint. With each sip, you’ll get the added minty aroma to intensify your minty beverage. It’s a delicious iced summer drink that, in my opinion, should be enjoyed all year long! P.S. I love this flavor combo so much that I made a mint mojito coffee ice cream version last year. Add cold brew, water, simple syrup, and mint leaves in a cocktail shaker. Muddle mint leaves. Add heavy cream and a handful of ice. Cover shaker and shake until drink is chilled. Strain into a serving glass filled with ice. Garnish with fresh mint sprigs. To make turbinado simple syrup: Bring equal parts water and turbinado sugar to a boil. Cook until sugar has dissolved. Remove from heat and cool to room temperature. Keep chilled in the fridge until ready to use. Will keep in the fridge for up to 2 weeks. Mint Garnish: slap mint sprigs in your palms to release oils and intensify aroma before garnishing finished drink. Homemade cold brew concentrate recipe can be found here. How delicious does this look?! As a huge iced coffee fan, I’m always on the lookout for new flavors and variations. I can’t wait to try this one! 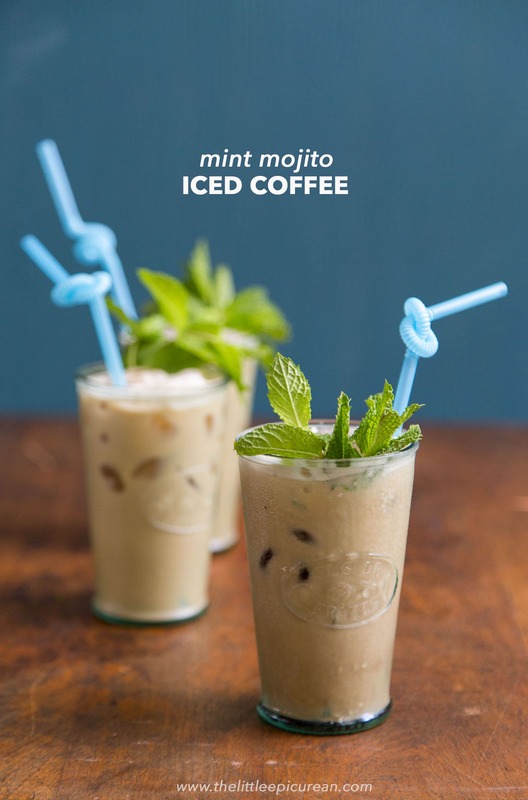 Mojito coffee with mint? That sounds amazing! I would never have thought of mint and coffee but it sounds delicious! Mint in coffee? Ok, I must try this out. There’s a coffee place in my ‘hood that services a Mojito Coffee drink but have never been enticed to try until now. I saw this combo on vacation a while back, and couldn’t help thinking how genius the flavors are together! Love that now I can make it at home! Thanks for sharing!